Choosing a new laptop can be difficult as there are so many aspects to consider and options to choose from. Competitors’ products and features overlap one another making deciding which computer even more problematic. Computer Troubleshooters will break down the most important things to consider when buying a laptop. These guidelines will help you confidently choose the laptop that’s right for you. 11 – 12 inches: These are most likely the lightest and thinnest laptops coming in at about 2-4 pounds. 13 – 14 inches: This is a good medium sized laptop that delivers a balance of portability and usability. This size usually weighs around or less than 4 pounds. 15 inches: This is a fan favourite, the most common sized laptop that weighs about 4-7 pounds. It is a decent choice when you are not planning on carrying your device as often. 17 – 18 inches: A laptop of this size is ideal for a permanent or semi-permanent workspace. It offers an excellent processing power for workstation-level productivity. If you intend to keep your computer in a stationary desk setting, the battery life should not affect the decision-making process, as you can readily use a nearby outlet. Otherwise, when buying a laptop, you want to choose a device with sufficient battery life. One that will last 7-8 hours is fitting for work days on the go. Although manufacturers proclaim estimated battery life, you should further research reviews from consumers on their experiences with a specific device. The amount of storage space you need is a personal preference and may not be a big concern for you. It is customary to store most of your data in the cloud instead of filling your laptop with music, videos, and large files. SSDs (solid-state drives) are an option, or you can always purchase an upgrade. However, those options can get pricey. Note that many light and thin laptops mean not as much storage space so you’ll most likely have to rely on the cloud. Some consumers only prefer a particular brand whether it be Mac, Dell, Microsoft, and so on. It may depend on the operating system you favor or what purpose you will be using this device. Other buyers want their devices to sync by using the corresponding operating system such as Apple iOS. But to help make this decision an easier one, consult this buying guide by Digital Trends, The Best Laptop Brands. When it comes to buying a laptop, you want to choose a device that meets your needs but also your budget. Price is a significant factor because if you can’t always afford the superior laptop with all the features you desire, so you may want to consider choosing a more suitable alternative. Did we miss any key aspects that you consider when buying a laptop? Share them in the comments below! 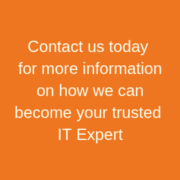 Remember, if you are exploring security services for your new device or need data backup and recovery for your current device, Computer Troubleshooters offers business and residential IT services that are tailored to meet your needs and budget. Contact a CT location nearest you! COMPUTER TROUBLESHOOTERS EXPANDS WITH 3 NEW FRANCHISE’S OPENING. https://computertroubleshooters.co.uk/wp-content/uploads/2018/11/computer-troubleshooters-3.png 0 0 ctuk.admin https://computertroubleshooters.co.uk/wp-content/uploads/2018/11/computer-troubleshooters-3.png ctuk.admin2016-10-18 15:03:542017-02-17 09:54:51COMPUTER TROUBLESHOOTERS EXPANDS WITH 3 NEW FRANCHISE’S OPENING. The Computer Troubleshooters Annual conference was held just outside Oxford at the Oxford Belfry Hotel. We had a good attendance with John Davies, CEO and Jeff Harcourt, COO from CT Global, Enda Folan from CT Ireland. All computers have a lifespan, and as they get older they’ll keep reminding you of this fact as they start getting noisier, running slow and giving error messages. Many of these problems can be avoided by taking care of your computer to make it run smoother for longer. Most of us are familiar with the conventional wisdom about protecting our privacy online: Don’t enter personal or credit card information into sketchy web sites. Hide birthdates and other information scammers can use to steal your identity. But new privacy concerns pop up virtually every day, so it’s important to avoid engaging in these seven risky behaviours. This year’s Computer Troubleshooters regional meeting coincided with the ‘Big Bury Expo’. Our North Manchester franchisee “CT Business Solutions (N Mcr)” where exhibiting so we couldn’t resist paying a visit and seeing how it all went.